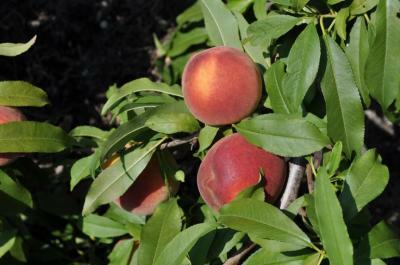 ‘UFSharp’ peach is released for grower trials by the University of Florida Agricultural Experiment Station. It was named to honor Professor R.H. Sharpe, the pioneer of the University of Florida fruit breeding program. Trees of ‘UFSharp’ produce an attractive, sweet-tasting, yellow and non-melting flesh fruit intended for the fresh fruit market. This cultivar produces fruit with tree-ripened aroma and taste while retaining firmness for longer shelf life than fruit from conventional melting-flesh cultivars. 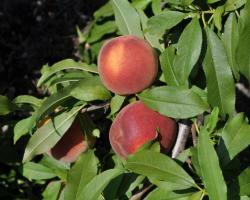 UFSharp is a peach variety with a low winter chilling requirement of approximately 325 chill units (cu) and a fruit development period of 105 days. UFSharp has a diameter of 2.25 to 3 inches.